Clerkenwell is an area of central London in the borough of Islington. 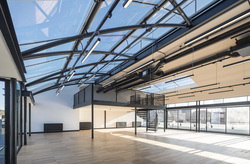 Roughly bounded by the tube stations of Farringdon, Barbican, Old Street, Angel, and Kings Cross, Clerkenwell is an incredibly central and is a key location for business to secure and rent prime office space. 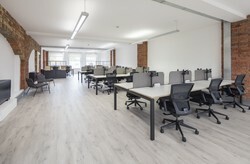 The creative and decidedly professional residents Clerkenwell attracts is reflected in the large quantity of open plan media style space on offer, shaping the area into a hub for media and tech companies.